Regular or private Transfer Salvador/Lençóis, main gate to the National Park. In the afternoon, light trekking for visiting the Pai Inacio hill for the valley view and the sunset. Overnight at local pousada in Lençois. We leave for a 12km walking. First, 6km till the top of the Fumaça waterfall (2km going up, and 4km on plain terrain). 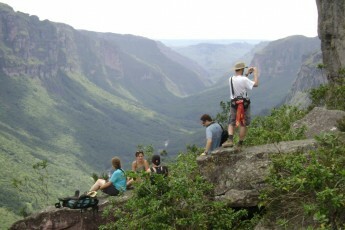 Stop for having snacks looking over the 400m height canyon with the view of the highest waterfall in Brazil. We return back on the same trail, stop on the way to visit the Riachinho waterfall. Arrival at the Capao village around 5pm. Overnight at local pousada. We leave the pousada at 9am for a 20km trekking. We go on a car ride to the beginning of the trail. We start from the Bomba climb on the Gerais do Vieira trail, and stop at a belvedere for some snacks. Then, continue to Preto River trail, arriving at the igrejinha (little church) and the native house of the local Joao, where we stay for the night. 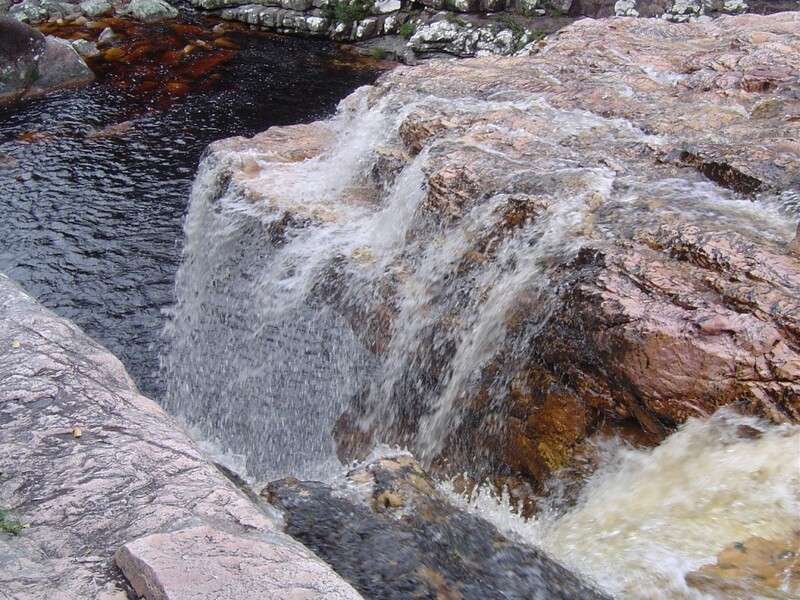 We leave the “little church” in the morning, going on the trail of the Funis River, passing by several waterfalls until get on the Funil Waterfall. After bathing and having snacks, follow the trail towards the Castelo hill and a cave on the top of one of the highest hills in the park. (this second trail will happen according to the energy of the group). At the end of the day, we arrive at the Dona Leia house, another local that will accommodate us. Overnight. Leave Dona Leia’s house in the morning, towards the Cachoeirao, a 300m height waterfall. Stop for snacks and bath at the edge of the Preto River. We finish our day adventure at the Guiné Village. 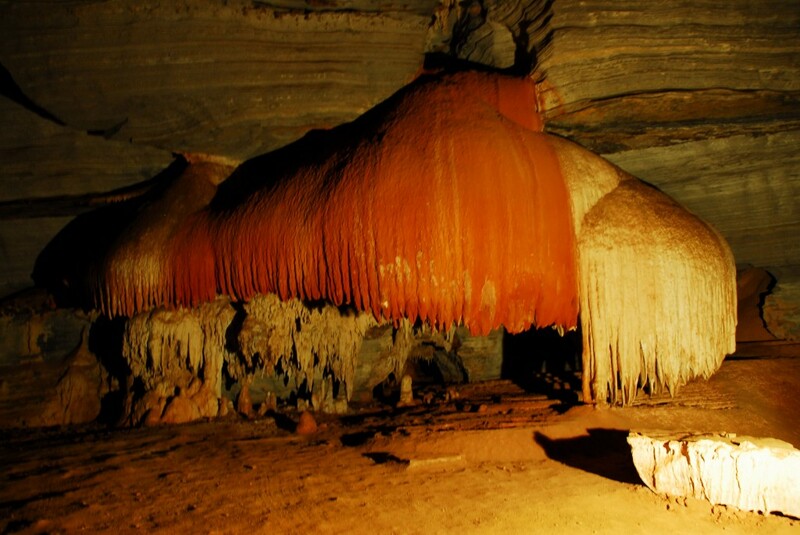 Then, 1h car transfer to the city of Mucugê, important site of the diamond cycle that last for more than a century! Overnight at local pousada. 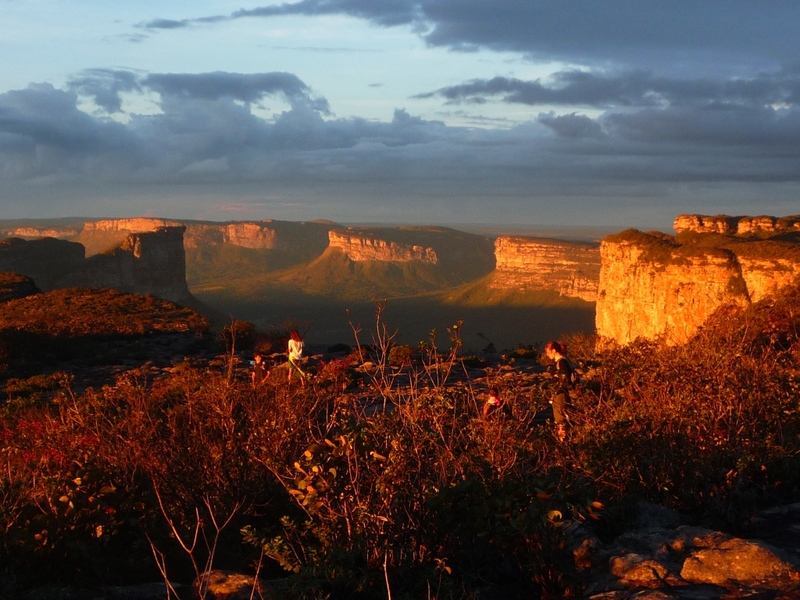 One of the Chapada Diamantina’s biggest attractions. At 8:00 a.m., transfer by car to Ibicoara, a small town full of big waterfalls. Walk on the 3km trail until the Buracão waterfall. Amazing view either from the top or the bottom! Time to appreciate the different colors of the canyon walls. Lunch break at Orquídeas waterfall. Return to Mucugê around 6:30 p.m. Overnight in Mucugê. Today, most of the tour is done by car, leaving from Mucugê at 9:00 a.m., after breakfast. We visit the Igatu village, known as the city of rocks. Visit to the ruins from the mining period and the art gallery. 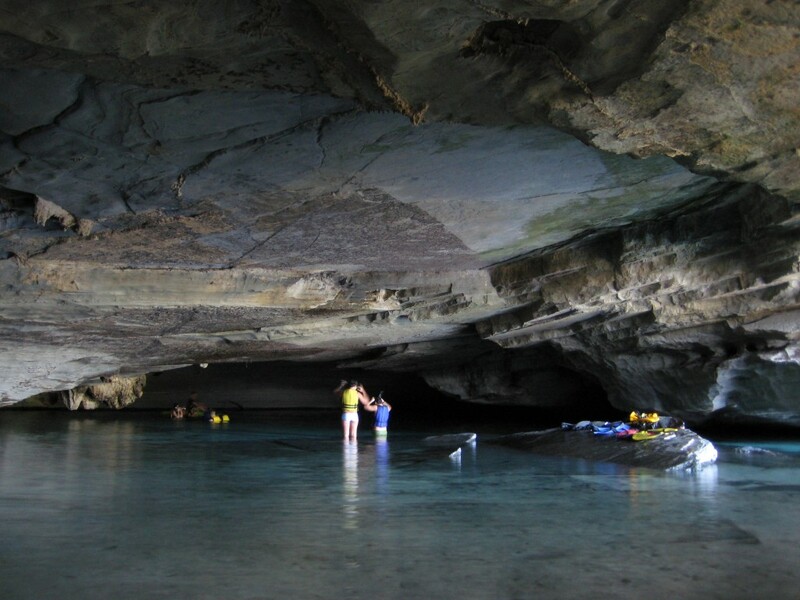 Around 12pm, arrival at Poço Azul, a blue crystal water pool, which is possible to snorkel inside, as the sunlight hits the water. After the cave, we’ll have a typical regional lunch, and return to Lençóis. Overnight. Transfer to the Lençóis bus station. Trip by regular bus to Salvador. Upon arrival, driver will be waiting on the bus station to take you either to local pousada or airport.